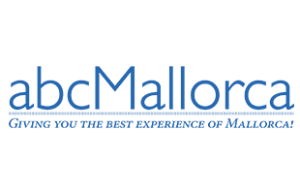 If you are a dynamic person who feels passionate about Mallorca, and an accomplished sales person who speaks excellent Spanish and English (German an advantage) then we would like to speak to you. We are looking for an experienced sales person who can develop new business for our online platforms that attract in excess of 5 million visitors annually – it’s a very exciting role with huge potential to grow and develop. The successful applicant will receive all the necessary training and have access to our large database of leads. A proven track record in sales is essential. It is also an advantage to know the island already and to have established contacts. Experience in selling advertising is not essential but certainly an advantage. We offer a full-time fixed contract with an excellent basic salary, plus commission and expenses in addition you will have the possibility to learn and grow and advance in your career path over time. If you want to be part of a successful team of professionals then please send your up-to-date CV in English or Spanish together with a recent photo for an immediate interview. We look forward to hearing from you (strictest confidentiality guaranteed). Clicking submit will submit your full profile to abcMallorca.